Lizard Island is a National Park covering 1,013 hectares of natural wonders. Completely secluded from the rest of the world, it is the Great Barrier Reefs most northern resort and celebrated for its many private beaches and luxurious accommodation. Once you have experienced Lizard Island’s top ten experiences, you will see why it is truly like nowhere else. With luxury accommodation, unique activities, complimentary offerings, and outstanding service in one of Australia’s most incredible locations on the Great Barrier Reef, is why Lizard Island truly like nowhere else. 50 minutes from Lizard Island is the world-famous dive site on the northern tip of Ribbon Reef. Guests can interact with friendly potato cod, grey reef sharks, schooling sweetlips and an abundance of tropical reef fish. 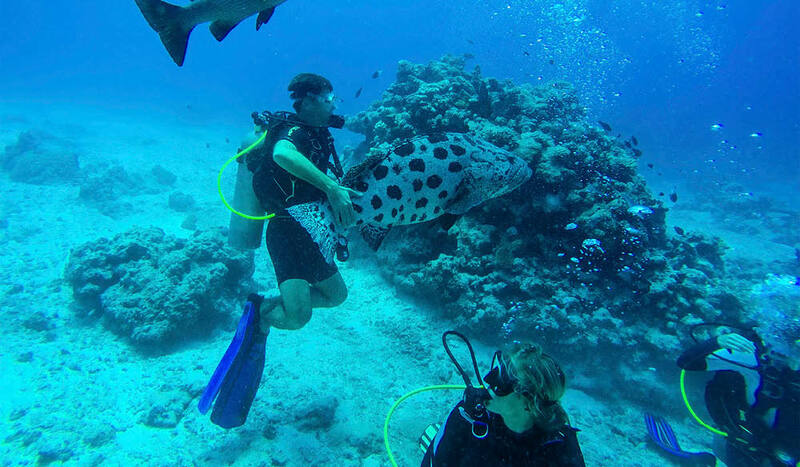 Lead by experienced dive guides offering interpretation and safety, M.V. Serranidae full and half day snorkel and scuba diving trips are the ideal way to experience the amazing fish and coral of the Great Barrier Reef. The Lizard Island Research Station is a coral reef research facility, owned and operated by the Australian Museum. It attracts researchers from all around the world, and more than 1,200 scientific publications have been produced by Australian and international researchers since the Station’s inception in 1973. Take a complimentary dinghy to one of the many pearly white secluded beaches where you can relax, enjoy a picnic and snorkel in privacy. 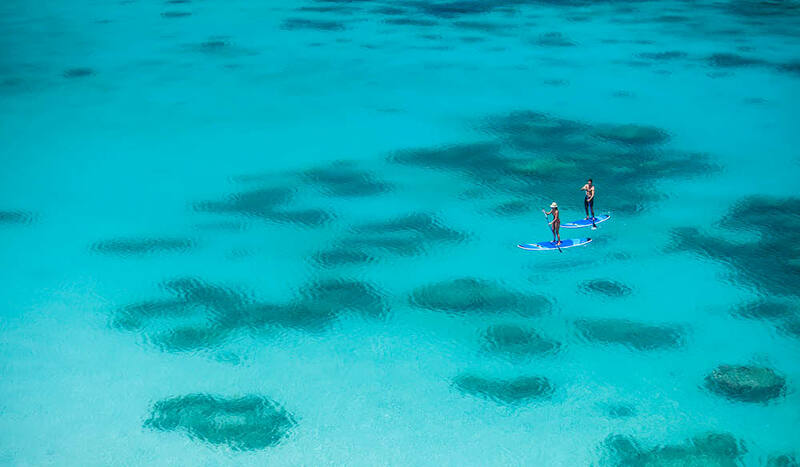 Glass bottom kayaks and paddle boards are perfect to explore the marine life, giant clam gardens and coral in around Anchor and Watson’s Bays. How did Lizard Island get its name? The name Lizard Island was given by Captain Cook in 1770. Take a guided nature walk to Cook’s Look with our Naturalist, to learn about the unique nature and history and view the 360-degree views of the breathtaking island. A private meeting with Executive Chef Mark Jensen before dinner will ensure that your 7 course degustation dinner with matching wines is just the way you like it. Curated by Jeremy Oliver, the Cellar List features leading wines from Australia and international vineyards. 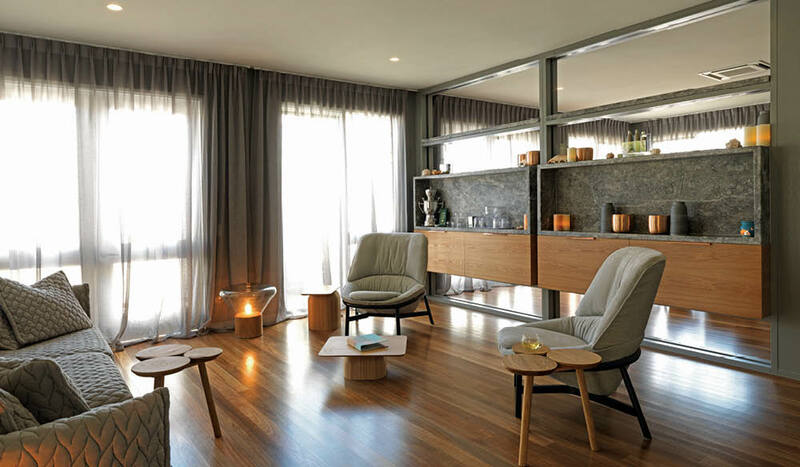 The Essentia Day Spa is a sanctuary where you can rebalance, relax, and rejuvenate while we personalise your spa experience with exclusive La Biosthetique skincare.